The country is in need of more medical colleges to meet the growing need of doctors and other para medics in the country, which is quite inadequate at present. The country is capable of producing huge talent of human resources in the medical field, and we need to expand quality medical institutions and medical colleges in the country. This was stated by Shri Arun Jaitley, Union Minister for Finance, Corporate Affairs and Information & Broadcasting during his address at the 43rd Convocation of AIIMS, New Delhi, here today. Shri Jaitley also stated that there is a need to look into the policy on organ donation to learn from the best practises across the world, in the Indian context, and without commercialising it. The Finance Minister stated that people in the country, in their dire need, look towards AIIMS for their health care needs, and this places an onerous responsibility on the Institution to be the best and excel in face of the challenge of catering to the health needs of such a large footfall. 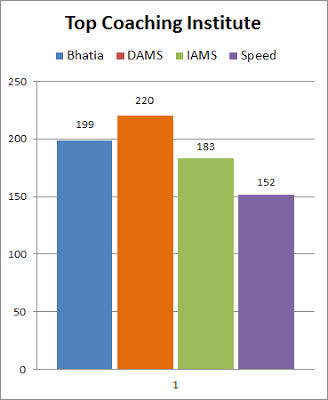 Despite having an ‘elite institution’ tag, AIIMS continues to serve the common masses. The competence and credibility that AIIMS has developed over the years is no small task, the Finance Minister stated. It is the missionary zeal of the faculty, the doctors, the researchers and others serving at AIIMS that has made this possible. Shri Jaitley also said that the Institution is a nursery of medical talent and it needs to expand to meet the growing need for medical human resource in the country. He informed that the expansion plans for the Institution have been taken up and some are underway. Delivery the Presidential address at the convocation, the President of the Institution and Union Health & Family Welfare Minister Shri J P Nadda said that the Ministry is poised to work on expanding the network of medical colleges in the country in a big way. In the first phase it is proposed to upgrade 58 district hospitals to medical colleges while 70 Medical colleges are being upgraded by adding superspeciality blocks under various phases of PMSSY scheme, he said. This reflects the importance attached by the government to the promotion of high quality tertiary care services and expansion of medical education in the country, he added. Congratulating the graduating students and the other awardees, the Health Minister stated that Institute’s excellence is a collective effort of thousands of faculty members, nursing personnel, scientists, engineering staff, technicians, sanitation and health attendants and above all the energy of the youth represented by the students. “I appeal to the faculty of AIIMS to innovate medical, dental and nursing curricula that fit the needs of today and tomorrow”, Shri Nadda said. Enumerating on the expansion of the premier Institute, the Health Minister said that the Institute is currently in a phase of sustained expansion with the National Cancer Institute, Mother and Child Block, a new OPD Block, a new Surgical Block, an Emergency and Diagnostic Block and a major expansion of the Trauma Centre comprising of a Burns & Plastic Surgery unit, a Centre for Digestive Diseases and a Centre for Diabetology at various stages of construction and sanctions. The National Cancer Institute represents the largest public investment in health sector with 710 beds at a cost of Rs.2035 crores, Shri Nadda informed. The work on this prestigious project will commence shortly. The Health Minister, eluding to the instances of cases against doctors in consumer courts and the growing complaints against rude behavior by doctors in public hospitals, urged doctors to remember the Hippocratic oath and to show compassion and kindness while treating their patients. He reminded those present to rededicate themselves to the cause of healthcare and healing of the sick and the needy. The Finance Minister also gave away awards for Lifetime Achievement to former senior faculty members of AIIMS for their meritorious service. Shri Jaitley also announced recognition of AIIMS as an Institute of National Eminence and 100% tax exemption for any voluntary donation made to AIIMS. Also present at the convocation function were Prof. M C Misra, AIIMS Director, Prof.BalramAiran, Dean AIIMS, senior officers of the Ministry of Health and Family Welfare along with faculty and students of AIIMS. 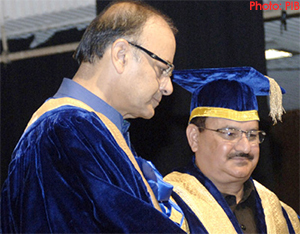 The 43rd convocation also marked the Diamond Jubilee year of AIIMS, New Delhi.